Just How Harmful Is Jeff Sessions To Cannabis Legalization? 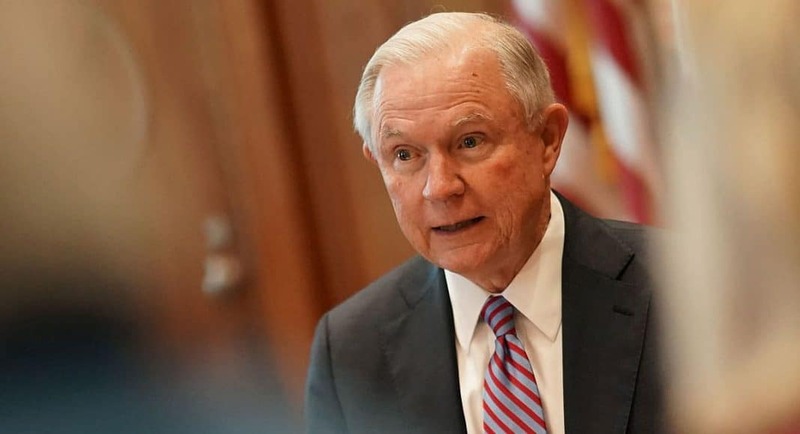 Home Cannabis Just How Harmful Is Jeff Sessions To Cannabis Legalization? President Trump spent some time attacking Jeff Sessions on Twitter in July. There are plenty of reasons why that was a bad thing. You don’t want the leader of the executive branch attacking the chief law enforcement officer in the nation for failing to stand in the way of an investigation into that leader. But if you temporarily ignore the threats to democracy, it was pretty fun watching Sessions get metaphorically slapped around. Mr. “Good people don’t smoke marijuana” was only able to come back with a lame comment that Trump’s behavior was “kind of hurtful” while still calling him a “strong leader.” Show some backbone. Despite the attacks, it looks like Sessions is sticking around, which means we have to continue guessing how his Department of Justice is going to treat marijuana. On that front, there is some bad news and some potentially good news. On the negative front, the Huffington Post uncovered a letter Sessions sent to Washington Governor Jay Inslee on July 24. In that letter, which was in response to various requests to Sessions from Inslee and others that Sessions reaffirm the validity of the Cole Memo, Sessions does not deviate from the Cole Memo. Instead, he cherry picks data and presents statistics in a way that negatively reflects on Washington’s marijuana regulatory system. The vast majority of his criticisms are unfair or are outright misleading. This post isn’t a good place to refute each of his arguments, but here are some of the highlights. He states that Washington’s medical marijuana system is considered “grey” due to a lack of regulation. But his information dates back to 2014 — Washington folded medical marijuana into its regulated system in 2015. He claims that 90% of the “public safety violations” that occur in Washington involve minors. But this is because Washington groups its violations into four categories, and all violations involving minors are in the “public safety” category. Other violations that are more common are in other categories. Additionally, a percentage without any reference to the whole is meaningless — referring to the 90% without reference to the whole is purposefully misleading. Finally, he stupidly claims Washington State isn’t well regulated because the leading regulatory violation is “failure to utilize and/or maintain traceability.” If the state is policing traceability so much that it is consistently nailing businesses for any deviation from the law, that is the definition of robustly regulating an industry. Regulatory enforcement isn’t evidence of a lack of regulation — it is the opposite. My firm’s cannabis lawyers have since 2010 represented clients all over the country, and from this I can tell you that Washington State tends to have the toughest regulations and the strictest enforcement. The idea that Washington isn’t robustly regulating the cannabis industry is laughable. If Jeff Sessions wants to attack the principles of the Cole Memo, he should just do it instead of hiding behind weak accusations that Washington is violating its tenets. But this is where the potential good news comes in, or at least a reason why Sessions is trying to couch his arguments within the terms of the Cole Memo. Sitting on Sessions’s desk right now is a report from his own Task Force on Crime Reduction and Public Safety. The Department of Justice hasn’t released that report, but the Associated Press got a copy of it, and contrary to expectations, the Task Force does not recommend any changes to current DOJ policy in the Cole Memo. That makes sense of course. Even if you hate marijuana, the Department of Justice doesn’t have an unlimited budget. Every penny and every man-hour dedicated to marijuana is taken away from opioids, terrorism, violent crime, etc. If the states are not acting as partners in federal law enforcement, why would the feds use resources to target marijuana businesses and their customers in those states? But no matter what policy the Department of Justice ends up pursuing, Sessions will never back down on the marijuana rhetoric. “Drugs are bad” are ingrained in his identity, as they have been in every hippie-hating conservative politician since Nixon. Marijuana usage, homosexuality, and alternative lifestyles that are indicative of someone being an “other” are anathema to the Sessions dream of Americana. But as demographics and polling show us, there are a lot more of us than there are of him. Robert McVay is a partner at Harris Bricken focusing on corporate, finance, and transactional matters for clients both inside and outside the cannabis industry. This story originally appeared on Canna Law Blog.